For years now, the news of the persecution of Muslims in the people the Republic of China, especially those Chines Muslims residing in East Turkistan, has been suffering a form of encroachment of their human rights, this include volition of their religious rights of worship, freedom of expression coupled with other violation of their respective social life. 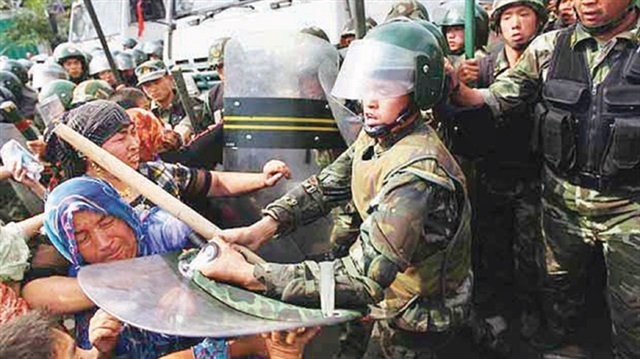 There also have been systemic and attempts to force these vulnerable Chines Muslims to renounce their religion. It is also compiled millions of their children in the compulsory detention Labour camps, which the government of China called “rehabilitation camps” thereby subjugate these Muslim’s children to everything that can harm their dignity, and to keep them away from their faith, their culture, their religion and their religious affiliation. Also restricting their access to mosques, denying access to the teaching of the Holy Quran, this includes affiliated Islamic religious education. Refusing them practising their rites, as well as restricting their movements within the parameter of the specified area. They are forced to host in their homes those who are sent by the authorities to stay with them, monitor their daily lives, in order to write reports on their activities. Also, monitor any manifestation of their affiliation to Islam or to invoke some of their provisions, such as prayer fasting dress, the existence of the Quran or a prayer mat or rug, or refraining from smoking and drinking alcohol. In general, the news about China's official policy towards Muslims indicates their firm intention of erasing Islam and eradicate its affiliation. Based on the hereinabove mentioned points, the International Union of Muslim Scholars draws attention to the seriousness of these abuses and injustices against the Muslims of China, affirms its rejection and condemnation of such evil systemic policy, and warns the government of China of the consequences of their ill-will. 1. It recalls and acknowledges the deep-rooted and diverse relations and ties between China and the Muslim world, States and peoples, which are the relations and ties that we aspire to expand and deepen, rather than poisoning and straining them. 2. Calls on the Chinese government to respect all the religious and social rights and freedoms of Muslim minorities. This includes (a) The release of Muslim detainees, the release of detainees from them in forced mass camps,(b)Ensure freedom of religion for all and the exercise of all religious rights, including building mosques and religious education, and practicing individual and collective religious rites for Muslims and others non Muslim religious practitioner. (c)Freeing Muslims to travel, travel and communicate, for various legitimate purposes, both inside and outside the country.